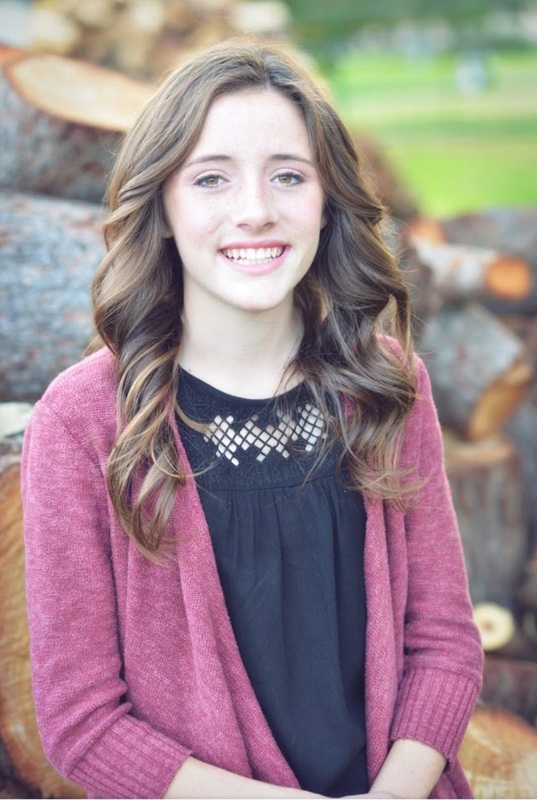 Elizabeth “Zibby” Christensen (17) of Mesa, Arizona passed away on February 1, 2019. She was born on September 21, 2001 in Loveland, CO. She is the daughter of Emily Whiting Christensen and James Victor Christensen. She is the eldest of four fabulous sisters Lauren (15), Rebecca (12), and Susanna (9). From early on Zibby’s family could tell she was a unique person, just like her name. Zibby’s light could brighten any room she entered along with her cheerful countenance and infectious laughter. She was a loving sister, a dedicated student, a fearless athlete, a captivating performer, and a precious daughter. Zibby attended Mountain View High School where she was an honor student, member of the percussion team, and a talented track and cross-country runner. She loved her friends and was a good friend. Zibby loved the family’s dog “Tilly” and her pet rabbit “Bun Bun”. Zibby is a member of The Church of Jesus Christ of Latter-day Saints. She was a Laurel in her Church’s young women’s class. She enjoyed hanging out with her fellow Laurels, going to girl’s camp, making up silly dances, and having fun. Zibby loved her Savior Jesus Christ and knows that he loves her. Zibby is survived by her parents Jimmy and Emily Christensen, her sisters Lauren, Becca, and Susie. Her grandparents Bruce and Gail Whiting and James and Susan Christensen and many uncles, aunts, and cousins who love her dearly. A viewing will be held Friday, February 8, 2019 from 7:00-9:00 pm at The Church of Jesus Christ of Latter-day Saints Mesa Mountain View Stake Center located at 1550 N. Val Vista Drive Mesa, Arizona 85213. Funeral services will be held Saturday February 9, 2019 at 12:30 pm preceded by visitation from 11:00 am-12:00 pm at the same location. Arrangements by Bunker’s University Chapel. I’m so incredibly sorry for your loss, Jimmy. I hope you and your family may find peace. I love your family. I know you will be with Zibby again. I pray our Father in Heaven will extend his peace and love upon you all. She was/is a star. She’s always smiling. I know she is in a peaceful place and laughing lots. Miss you girl! I know where to find you! I’m so sorry for your loss. I have such wonderful memories of Zibby’s smiling face and bubbly personality at one of her school performances. I will miss her so much. My heartfelt prayers go out to your family during these tough times. My condolences to you and your family. It hurts to lose someone you love. May the Lord wrap his arms around her until you are together again. My prayers go out to you and your family. My thoughts and prayers are with you during this most difficult hour. May the Lord bless and uplift you and your family with His peace, which passeth all understanding. We are so sorry for your loss. Our high school kids knew Zibby and admire how kind she was to everyone. They commented that she had friends around her all the time at school and was always smiling. Your family is in our thoughts and prayers. We pray you all will be lifted up by the love of our Father in Heaven through this difficult time. Ubuntu: I am, because of you. Only light can color the rain, only time can wash away the pain, no goodbye could ever tear this one into two, only love will come between, her and you. I am so sorry for your pain and loss, I have had your family in my prayers & I want you to know that those who you don’t know u, I love you and pray for peace and comfort at this time. My heart is broken also, for your pain, my tears are for your suffering, my prayers are for your comfort & strength…i am there alongside you, though we have never met, I love you. And lil Zibby has touched me in so many ways, she now makes me want to be better, do better, love better. God bless you every minute. Love and prayers for all. Zibby was rock-star in all she did. Especially as a video anchor in Highland Hurricane News. I do not remember many of my students who anchored, but for two years I got to watch her shine on the screen. Her smile could be seen from miles away. Zibby, thank you for loving so many others around you. Our memories of you singing with your sisters in the backyard will always be in our hearts. The family and friends of Zibby are in my thoughts and prayers as we remember her as the light-hearted and happy soul we all knew. May she Rest In Peace, in the arms of God and the Angels until we meet her once again in the light of Heaven’s glory and eternal love. Around the Mountain View Campus, I wear a light blue plaid ribbon in my hair for a month to remember Zibby. If you see me, come up to me and get a hug. I’m offering them to anyone and everyone who needs or wants one. 💛 Zibby is forever in our hearts and never forgotten, we’ll keep her spirit and memory alive by making others around us as happy as she would’ve wanted. My prayers are with you Jimmy and your family. Your little girl is in our Lords arms safe. She will be waiting till you all meet again. You all are in my daily thoughts for comfort and healing. I only can imagine your pain. Oh Emily! I am so sorry for the loss of your daughter. I didn’t know her but saw her a few times at church. She was always smiling and so beautiful! I remember saying she was your twin. I pray for you and your family. What a precious girl!!! With our deepest sympathy, we are so sorry for you and your families loss. You and your family are in our thoughts and prayers. May god give you peace in this very difficult time. Sending love from all of us from Idaho! My heart is breaking for you and your lovely family. There are no words to express the sorrow I feel for you. I hope that knowing you are loved by so many family members and friends will help you bear your grief. I’m so very sorry for the loss of your lovely daughter, Zibby. I cannot fathom such a loss. My prayers are with you all! I was so sorry to hear of your daughter, Zibby’s passing. Know that I have your family and all those that knew Zibby in my thoughts and prayers. She is your guardian angel.now and you will see her again. Healing light and prayers of comfort. Your family has always brightened Highland Arts Elementary School. Lauren, Rebecca, and Susie each brought with them the warmth of friendship, leadership, kindness, laughter, intelligence, and integrity, well- learned through wonderful parenting, close extended family, and faith in the Lord. Zibby displayed these traits and our grandchild, Tyler, learned from her, adored her, and grew as a better person because Zibby affected her friends in that way. She was able to verbalize her beliefs and had a deep awareness of other children and teachers—-and was always quickly helpful to those around her. This can be a bit unique in someone so highly intelligent and this combination resulted in her being so known and loved by our students, teachers, and this principal. She held many leadership positions throughout Highland—Principal’s Honor Roll each year, lead role in several plays, student council president, and many others but she didn’t need a “position” to affect us. Her daily conversations focused on good traits. She talked about memorizing a poem as her dad’s Christmas present, about going to work with her dad and just exuded pride in what a great large animal vet he was, in Kindergarten how she “named herself ‘Zibby’ when she was little,” telling us about her jobs at home and how she was helping her family, about the baby chicks grandma Susan and Grandpa Jim gave the girls and about her mom supporting her dreams, sewing circle skirts for her to be In the talent show, going on field trips, helping with costuming for her plays, taking her to church events , like the public pool party prior to school starting. We all deeply love you, Emily, for being an admirable mother to four fantastic , precious girls. Zibby’s life seems too short to those of us left on earth, but her impact was vast. She was a Sunbeam among us and will be in our hearts forever. Having lost one of our two sons to early death my husband and I ache for you at this time. Only when we are “face to face” with our Lord will we understand. Until then you and your family will always be in our hearts. Our thoughts and prayers and deepest sympathy go out to you and your family. Christensen family. We love you. I’m sorry for your loss, Zibby is a stud. I cannot fathom the week you’ve had. Jimmy and Emily, you two are two of the good folks in this world. Jimmy and Emily, I am so sorry for your loss. I know there is not anything that anyone can say to make your pain go away, but please know that you and your family are in my prayers. Emily! I’m devastated by this news! It’s been so many years since our paths crossed…. you were a good friend to Travis and he always spoke so highly of you from high school. It’s been 5 years since he passed. It’s a life changer to lose a spouse but to lose a child… my heart aches for you, Emily. Please feel the love and prayers I am sending to you, my friend. We love you guys and are in our prayers daily. I will never forget the airplane ride home from New York Suzy, Anne and I had with Zibby and Lauren years ago. Zibby fought people off saving seats for us so we could sit together and then she entertained us for the remainder of the 5 hours plane ride. She will be missed by all, but I am sure she is entertaining people on the other side of the veil. Love your family much. Oh how I loved your infectious “Hi Grandpa.” The Savior loves you, we love you. May the Comforter embrace your Dad, Mom, and three beautiful sisters. Our entire family is saddened by the loss of sweet Zibby. She touched the lives of our two granddaughters, Maren and Lauren, and a niece’s daughter, Jordana, as well. We’ve heard so many wonderful stories about Zibby and truly wish we would have known her. Her memory will live on forever in their hearts, and now in ours. I hope and pray that you have found peace. I’m so sorry for the pain you must have been in. I believe that you are with the Lord and that he will care for you now. My heart breaks for your family…she sounded like a wonderful child from all of the lovely tributes I have read. Dear Jimmy and Emily, we send our love, thoughts, and prayers to You and Your families. So many people are thinking of You and praying for the entire Christensen and Whiting Family. We hope You feel the love of our Savior Jesus Christ and the blessing of eternal families. Having grown up next to the Whitings, Zibby is definitely Emily’s twin! We hope You will feel the love of friends and family today and always. I’m so sorry. What a tragedy. Zibby was a sweet and kind girl. I cannot imagine your sadness. Zibby and her family are in my thoughts and prayers. I am so sad and hope that in some way I can carry some of your pain and sorrow. I love you guys. My deepest sympathy to the parents and family for the loss of your loved one, Elizabeth, and may you find comfort and hope in these future scriptural promises from Almighty God (Exodus 6:3) to mankind through His written word, the Bible, about His own appointed time, here on the earth, when He’ll do away with everything that causes us pain, suffering and sorrow. Job 14:14,15. Jeremiah 29:11. Acts 24:15. Revelation 21:3,4,5. I am so sorry for your loss. Sending love and light to you.